Updated following action played on Tuesday April 16. 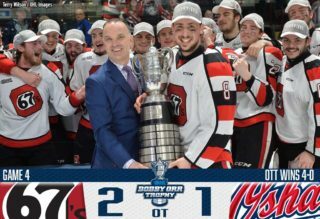 Toronto, ON – The Ontario Hockey League has announced the schedule for the 2019 OHL Western Conference Championship Series for the Wayne Gretzky Trophy. 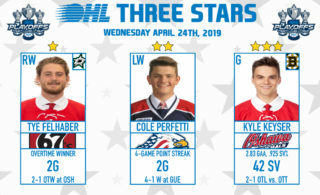 The third round series will begin on Thursday April 18 featuring the second place Saginaw Spirit and the fourth place Guelph Storm. 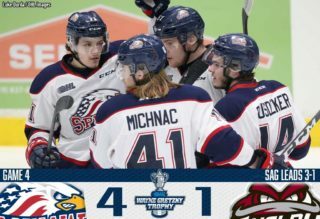 The Spirit secured their place in the West Final on Sunday night following a 4-2 series victory over the defending Conference champion Sault Ste. 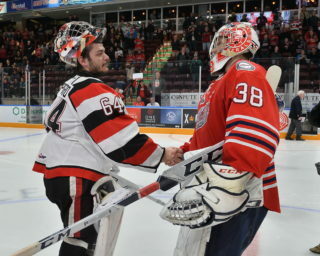 Marie Greyhounds, while the Storm upset the first place London Knights in a thrilling Game 7 on Tuesday night. The Western Conference Champion receives the Wayne Gretzky Trophy, introduced with the two conference division in 1999, and named in honour of the Hockey Hall of Fame member who played for the Sault Ste. Marie Greyhounds in 1977-78. 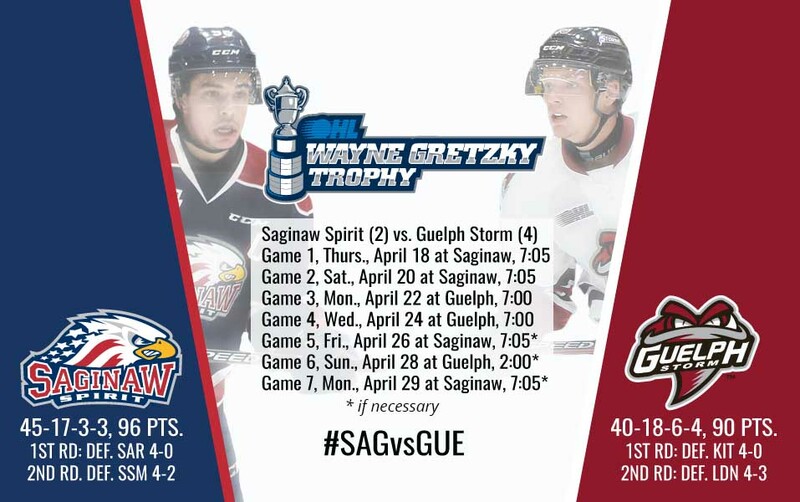 The Spirit will be competing for their first Western Conference crown, while the Storm have won twice in 2004 and 2014.
Who will win the Wayne Gretzky Trophy in the 2019 OHL Western Conference Championship Series?